His musique concrète artistry worked directly in conjunction with Carl Stalling‘s hyper-active left-field orchestral scores to create the soundtrack to generations of kids lives. So many of these sounds are completely ingrained into our collective pop-culture (un)consciousness. 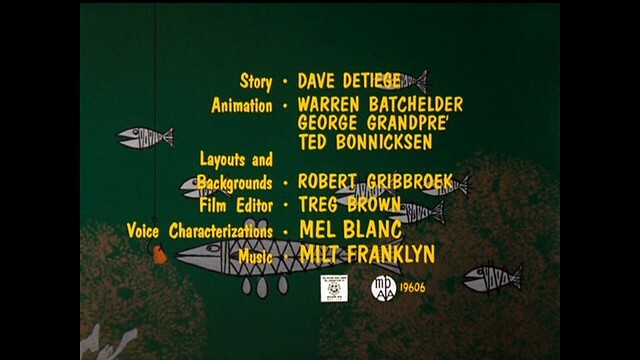 So much so, that reviewing some of the old Looney Tunes cartoons as an adult, you tend to ignore how utterly ridiculous the doinks and twangs are, for they sound totally natural in context—a testament to Brown’s flawless editing of sounds demanded by the images. 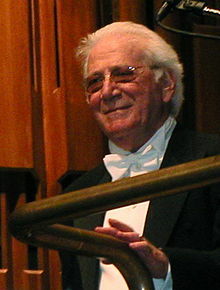 As we perk up our ears, we might send melodic birthday greetings to Jerrald King “Jerry” Goldsmith; he was born on this date in 1929. One of film and television”s most accomplished composers and conductors, Goldsmith scored such noteworthy films as The Sand Pebbles, Logan’s Run, Planet of the Apes, Patton, Papillon, Chinatown, The Wind and the Lion, The Omen, The Boys from Brazil, Alien, Poltergeist, The Secret of NIMH, Gremlins, Hoosiers, Total Recall, Basic Instinct, Rudy, Air Force One, L.A. Confidential, Mulan, The Mummy, three Rambo films, and five Star Trek films– in a career during which he was nominated for six Grammy Awards, five Primetime Emmy Awards, nine Golden Globe Awards, four British Academy Film Awards, and eighteen Academy Awards. In 1976, he was awarded an Oscar for The Omen.